Funeral Services for Mrs. Joyce Merna will be held at 1:00 P.M. Thursday, September 6, 2018 from the Hunter-Allen-Myhand Chapel with interment to follow in Restlawn Memory Gardens. The family will receive friends at the funeral home (Wednesday) evening from 6 until 8 o’clock. 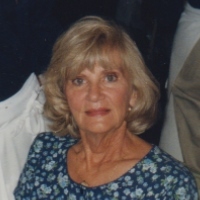 Funeral Services for Mrs. Joyce Merna are by Hunter-Allen-Myhand Funeral Home.